[ Robert Wilson Shufeldt, American ornithologist and white supremacist. ] Autograph Letter Signed ('R. W. Shufeldt') to Alexander Ramsey, regarding the 'Scientific Roll'. From Fort Wigate, New Mexico. 28 January 1886. 1p., 4to. In fair condition, on aged and worn paper. A presentation copy of the 'Scientific Roll' has 'just come to hand, as I have been snowed in at this point for a long time': 'if my purse were only as willing as my spirit I would put the shoulder to the wheel with you. It is a splendid work, and I look for the remaining parts with great interest.' He ends by asking to be put down as a subscriber. Ramsay's 'Scientific Roll: A Bibliography, Guide and Index to Climate' appeared between 1880 and 1884, and 'Scientific Roll and Magazine of Systematized Notes' appeared between 1890 and 1900. [ Howard Saunders, ornithologist. ] Autograph Letter Signed to E. L. Arnold, asking for more particulars about the piratical-looking birds' referred to in his 'Indian Hills', and explaining that gulls and terns are his 'speciality'. 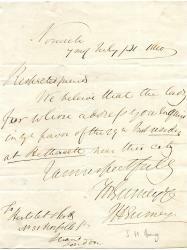 On letterhead of 7 Radnor Place, Gloucester Square, W. [ London ] 18 December 1881. 4pp., 12mo. Bifolium. In good condition, lightly aged. Forty-eight lines of text. Arnold's 'On the Indian Hills, or Coffee-Planting in Southern India' had been published in London earlier in the year, and Saunders writes that '[a]s an ornithologist' he has been 'much interested by the numerous allusions to the birds observed [...] but most of all by your remarks on the outward voyage (pp.101-3) on the gulls &c of the Red Sea'. [ John Gould, ornithologist. ] Autograph Note Signed to London bookseller J. E. Cornish, acknowledging a payment. On letterhead of 'London, 26, Charlotte Street, | Bedford Square. W. E.' 19 August 1870. 1p., 12mo. In very good condition. Large bold signature. 'Dear Sir | Thanks for your prompt remittance: I return the a/c duly accepted and remain | Dear Sir | Yours very truly | John Gould | Mr. J. E. Cornish'. Docketted at top left. [ John Gould, bird-artist ] Printed Receipt Signed boldly over stamp, "John Gould". Receipt, part printed, part MS., 21 x 13cm, fold marks, good condition. 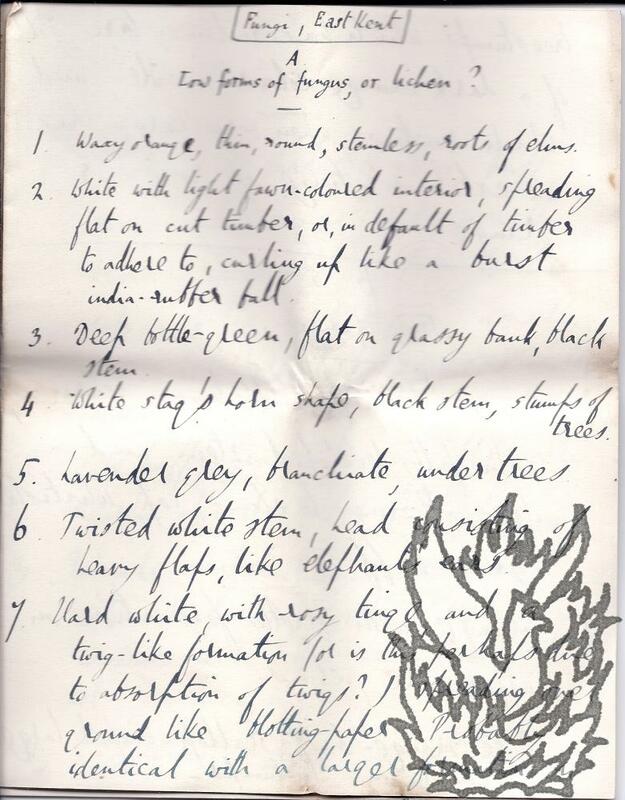 A "Mr Cornish" has purchased Parts 17 & 18 of the Birds of Great Britain. Note; "The Birds of Great Britain" (1862–73). All three on letterhead of Tortworth Court, Falfield, Gloucestershire. 21 May 1902, 14 Augst 1911 and 15 January 1912. The three letters total 5pp., 8vo. On aged and damp-stained paper. 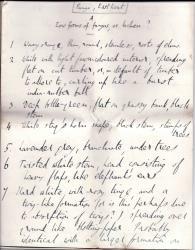 In the first letter (21 May 1902) Ducie writes that he has that morning received Mellersh's book ('A Treatise on the Birds of Gloucestershire', 1902), and that he is 'delighted with it. Whether it would find a "public" if offered in a cheaper form, I cannot say. It is too scientific for the crowd. | I note only one error. You make out that I shot a Squacco Heron. I bought it or had it given to me from Berkeley'. Autograph Letter Signed "H.H. Godwin-Austen" to "[E.] Ray Lankester", zoologist, about a statue of T.H. Huxley. H.H. Godwin-Austen (1834-1923), explorer, topographer, geologist, naturalist and surveyor. Two pages, 12mo, bifolium (second leaf blank), good condition. "I very much regret that I am not well enough to be present at the unveiling of the statue of Huxley tomorrow, which I had been looking forward to see. I got a chill last Saturday when it was so hot & have had an abscess in the ear, which has just released itself, but it would not do to go out in the cold air [...]"
Three Autograph Letters Signed (all 'Clifton') from Edward Henry Stuart Bligh, Lord Clifton (later 7th Earl of Darnley) to Rev. C. W. Shepherd of Trotterscliffe, all concerning Kent natural history. With 15 page list of 'Funghi, East Kent'. 4 October 1889 and 22 August and 14 September 1891. All from Dumpton Park, Ramsgate, Kent. All 4to, with the letters totalling 22 pp, and the list of 'Funghi, East Kent' of 15 pp. All items clear and complete. Three leaves with light staining (one with short closed tear), otherwise all in good condition, on aged paper. All three in envelopes (lacking stamps), addressed by Clifton and with his seal in red wax. ONE. 4 October 1889. 4to, 12 pp. Begins: 'It seems a long time since we had a ramble on the Cuxton and Ralling hills from Cobham, and when I killed a viper; and I have been much amused at the apparent incredulity of a brother B.O.U. at the Dumpton Park rarities! Autograph Note Signed ('J H Gurney') to Messrs Hertslet & Scott, No 31 Norfolk Street, Strand, London. 4to, 1 p. Bifolium. Good, on lightly-aged and worn paper. With 1 cm vertical closed tear at foot of each leaf. Addressed, with postmarks, on the reverse of the second leaf, which is docketed '31. July 1840. | Gurney & Co. that Mrs E. Lofty resides at Hethersett near Norwich -'. Reads 'Respected friends | We believe that the lady for whose address you enquire in yr favor of the 29th Inst resides at Hethersett near this city'. Gurney joined the family business at the age of seventeen. Autograph Letter Signed to the naturalist Rev. Francis Orpen Morris (1810-1893). 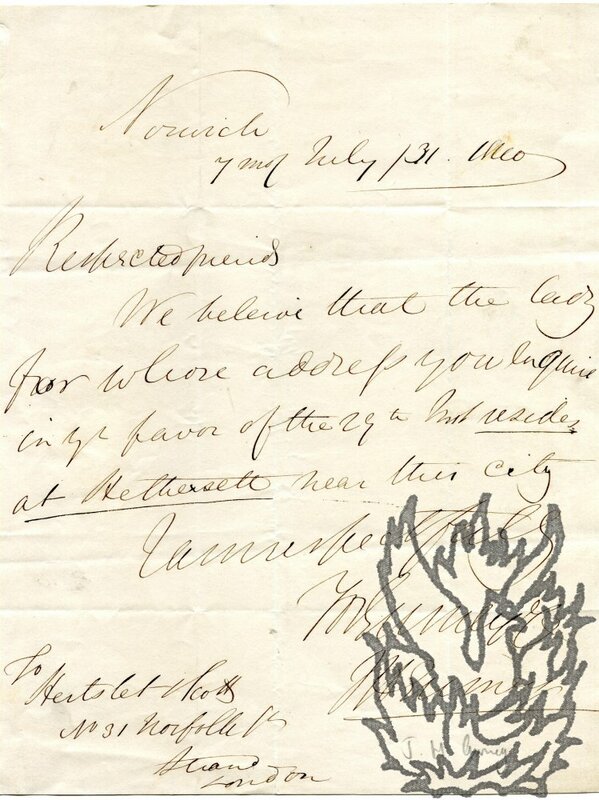 17 October 1857, on his business letterhead, 8 Lovell's Court, Paternoster Row. 8vo: 2 pp. 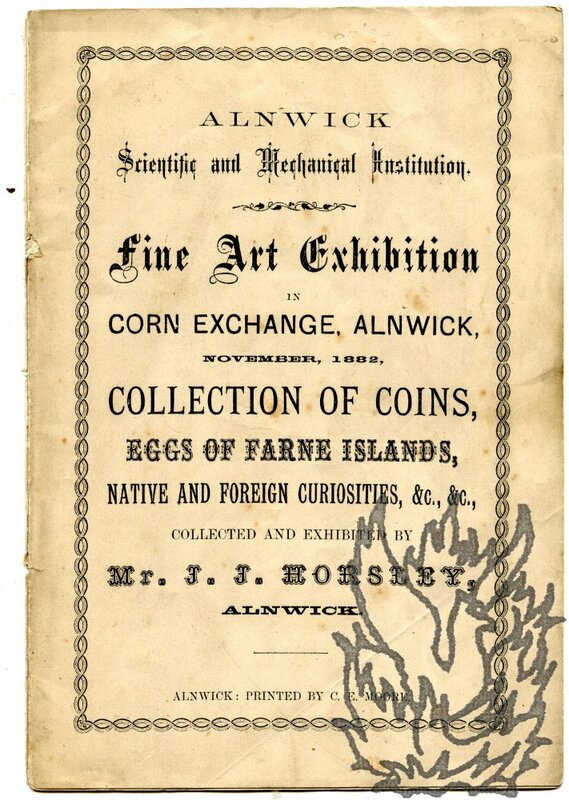 The 'idea is worth Consideration', but Blackwood 'can hardly see how any large sale cann be depended upon, so as to repay the expense of printing advertising &c.' Asks that Morris send him 'one sermon, to indicate style, length & to estimate cost'. Asks what size of paper should be used. 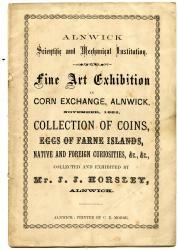 Notices that Morris's works are 'principally on natural history'. Likes the idea of 'the <?> natural history', and 'will take an early opportunity of looking at it'. This notable London publisher is a surprising omission from BBTI. Edinburgh: David Douglas, MDCCCLXXIX (1879). Pp.p. xv, 155, concluding with 16-page publisher's catalogue, original green cloth gilt (motif of the bird on front cover), illustrated,some wear, corners bumped as well as the top and bottom of spine, sporadic use of pencil lines in margin, but an attractive book. Compliments of the publisher on title (blind stamp). Report of the departmental committee on the protection of wild birds. Presented to Parliament by command of His Majesty. London: Published by His Majesty's Stationery Office. 1919. 44 pages. Folio. Unbound. In poor condition: first and last leaf fraying, torn and separated. An important document: a landmark in the history of environmentalism. The committee members were the Hon. E. S. Montagu (Under Secretary of State for India), Lord Lucas (Parliamentary Secretary to the Board of Agriculture), Frank Elliott of the Home Office, E. G. B. Meade-Waldo, W. R. Ogilvie-Grant, Hugh S. Gladstone and the appropriately-named W. Eagle Clarke. Autograph Letter Signed ('B H Baden Powell') to unnamed Indian District Officer ['My dear Major'].